Below is a list of current members who attend the business networking meeting at the Mount. Barney offers a free no obligation service to review your business telecommunication needs. Talk to Luke about all your cleaning needs. Luke uses Eco-friendly cleaning products and covers the wider Tauranga area. Graphic designer Kellie Moczydlowski will make your designs standout in the crowd. Call her to discuss your needs. Michael McMichael from Ray White Commercial specialises in leasing & selling commercial, industrial & retail properties. 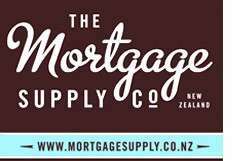 Backed by a nation wide company Michael provides invaluable knowledge on the Tauranga commercial property market. Relate Communications is a telemarketing service with a difference. Telemarketing is a proven effective method of marketing your product or service, but getting the right telemarketers to provide this service is essential. I help businesses who want more clients or customers using Facebook advertising.